I dd image to /dev/sdb1 instead of /dev/sdb, so I cannot boot via usb. cool to access live sys. 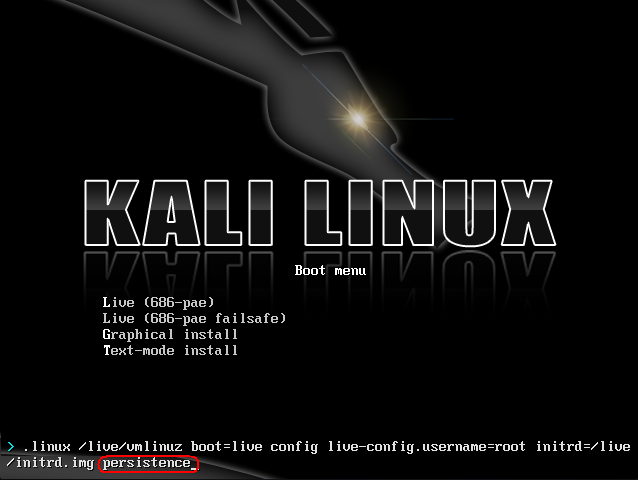 and then choose “install kali linux” to start the installaions.